Since ancient time till the present era; Mantras have been used as a remedy for nearly every problem. With the increasing number of TV channels in India, the situation is such that you tell about any issue and one out of ten persons, you will find at least one to come out with a handy Mantra to resolve your issue. The great learned pundits are there on the small screen almost round the clock. Now a question arises, do we really get benefit from those free of cost advice ? I don’t think the TV channels will be helpful to you in this respect. They should be more than happy with the increasing TRP and would hardly get time to undertake a survey to find efficacy of such remedial mantras etc. Can one mantra be effective for multiple purposes? What matters the most – The sound, the tone and rhythm of reciting a mantra, the meaning of the words used in the mantra, or the procedure prescribed? 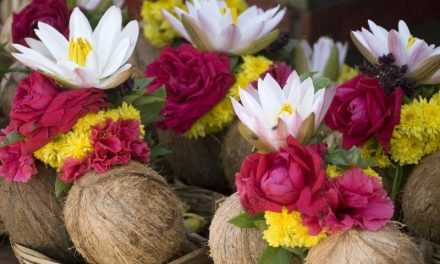 How does ‘offering’ of a mantra by a Siddha makes a difference? One Mantra removes all evil? One should not need any thing more than mere common sense to reject the notion of ‘elixir’ kind of a Mantra that can be used to resolve a problem irrespective of nature of problem. As we accept the low of ‘Cause and Effect’; we have to find the likely cause of a problem and then the remedy has to address the cause. In a way, the remedy should be a kind of reversal process of the cause. Hindu mantras like ‘Maha Mrintyunjaya Mantra’, ‘Gayatri Mantra’, etc. suffer from the notion of ‘One-for-All’ remedy and we most humbly do not agree with the belief. The sanctity of mantras for spiritual upliftment should be maintained and must not be recommended for temporal laukik reasons as trivial as ‘securing a job transfer ‘ or ‘begetting children’ etc. People indulging in such activities are unknowingly doing a grave disservice to the sacred heritage of Vedas. The seers who formulated the mantras offered them to their disciples who were well-versed with the prerequisites as a part of the methodology of particular school of spiritual Sadhana. The knowledge of such prerequisites was believed to be so fundamental that its narration, at times, used to be omitted to avoid repetition. In the modern age, where education and spirituality has turned into an Industry, Astrology, too, has slipped into the hands of commercial people. In absence of honest custodians and the rightful inheritors; mantras are prescribed in most bizarre manner by the commercial astrologers for meeting their selfish means. Needless to say, mantras have become tools in their hands to exploit the greedy and ignorant people. The Rishis who formulated the mantras also advocated certain procedures to be followed for its right use. This include a formal commitment in the form of ‘Sankalpa’, some movements and gestures in form of ‘Nyasa’, creating protective sheath in form of ‘Kavacha’ and offerings to the Devata in the form of ‘Arghya’. Let us understand the procedure as well as the parts of mantra. Sankalpa with respect to Mantra Sadhana, means a formal commitment about one’s plan of the Sadhana. A statement of sankalpa generally contains one’s own identification. This is in the vedic manner including one’s full name, one’s vedic lineage i.e. Veda, Gotra, Shakha etc. Then follows ones desire to chant the Mantra for a particular duration and in particular number or undertake an Anushthana for fulfillment of a particular wish. The sankalpa is addressed to the Devata of the Mantra. 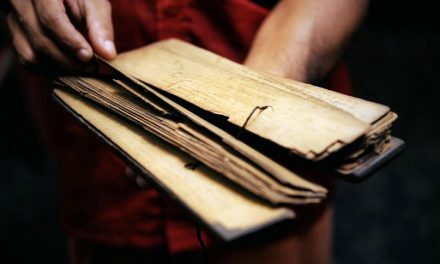 Ritualistically, a sankalpa is taken through Sanskrit. However, as we know the significance of Mental vibrations in Mantra Sadhana, it should be OK to undertake the Sankalpa in one’s own language. Nyasa is an important preparatory stage of Mantra Sadhana. It is in a way a ‘warming up’ and ‘cleansing’ session prior to undertaking Mantra chanting. 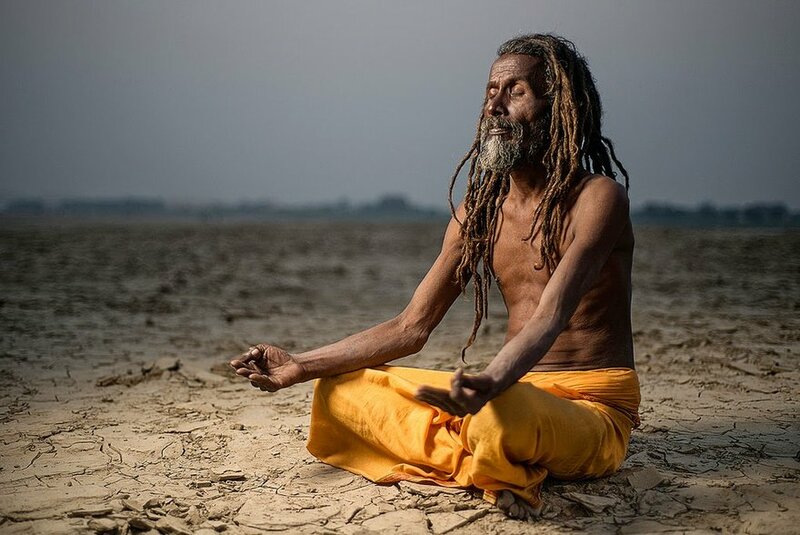 The sadhaka while exercising Pranayama, touches different parts his body either physically or visualize mentally depending upon the type of nyasa he has adopted. There are different types of Nayasa, e.g.Kara Nyasa, Anga Nyasa, Hridayadi Nyasa, Rishyadi Nyasa, Panchatatwa Nyasa, etc. Here, again the primary objective is to augment the process of attaining embodiment with the Mantra and its Devata at psyche level. ‘Kavacha’ is the imagery shield to be created for the protection of the Sadhaka during Sadhana. It is very important because, the Sadhaka loses his conscious sense of awareness as he transgress into meditative state or altered state of awareness. During such a state he stands vulnerable and exposed to abnormal frequencies and vibrations. The performing of Kavacha protects the Sadhaka from such vibrations. The Kavacha in a way create hypontic layer of self-confidence and keep him comfortable. Arghya is a symbolic gesture of hospitality offered to the Devata. As we offer some tea and snacks and respect to the guest at our home, similarly, here during Mantra sadhana, we are invoking the Devata of the Mantra and suitable welcome is essential. The arghya is normally a mixture of water, milk, curd, flower petals, kumkum, sandal and grains like til (sesame). The mixture is taken in hands in the cavity created by holding two palms together and then poured in the vessel meant for it. The ingredients of Arghya are Devata specific and so is the way of offering it and as such different Mantra Sadhana requires different kind of Arghya. On mental and subtle level, the offering of Arghya signifies surrender of the individual ego at the feet of the Devata. Rishi is the person who originally formulated the Mantra. 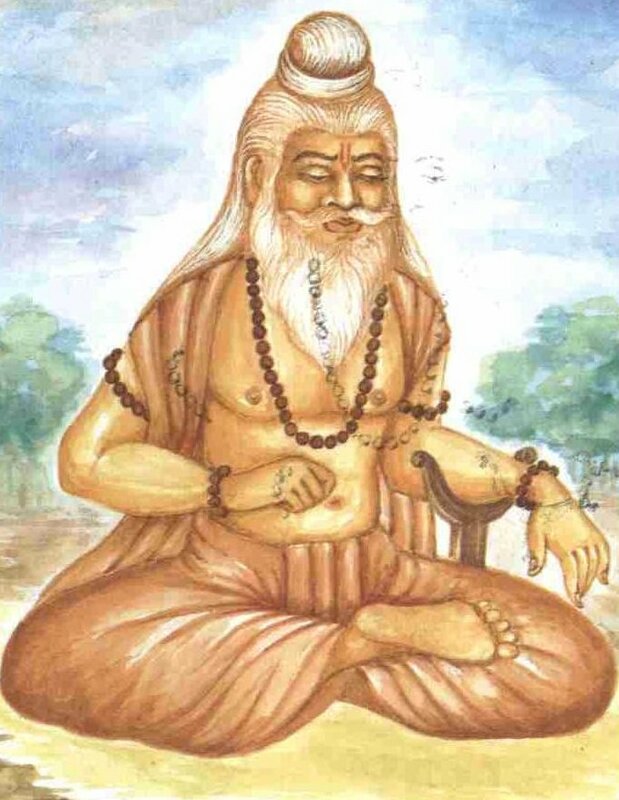 In vedic culture, Rishi is believed as the seer, a visualizer of Mantra. The prerequisite of naming the Rishi of the mantra before using the same is a humble way of showing gratitude and acknowledgement. This act of acknowledgement is the first step towards dissolution of personal pride and ego. The feeling of gratitude initiates the altered state of mind leading to internal environment congenial to invocation of the Devata of the Mantra. Chhandas denotes to the grammatical formation of words in a particular rhythm. The chhanda sets the pattern of words and number of syllables. The formation guides the recitation of the Mantra in a particular way. The pattern activates different points in human brain and further augment the internal psychic environment. Each chhanda has its own attributes to influence the mood of the person reciting it. Beeja is a single letter of Sanskrit Alphabet and it represent, again, shortest possible form of the Devata. The shape of the Beeja creates the route for the energy to vibrate. Beejam resembles the basic character (tatva) of the mantra. for example jala tatva(soft), agni tatva (hard) etc. Keelaka means a nail. Now, what is significance of a Nail here with respect to reciting a Mantra? To understand the significance of Keelaka we have to link it with the nail that stops a rotating wheel slipping out of its excel. We know that the energy of a mantra is generated from the mind of the person and its important to keep it centered at a point to save it getting dissipated. This is done through Keelaka. Some people symbolize it with a key of the lock. 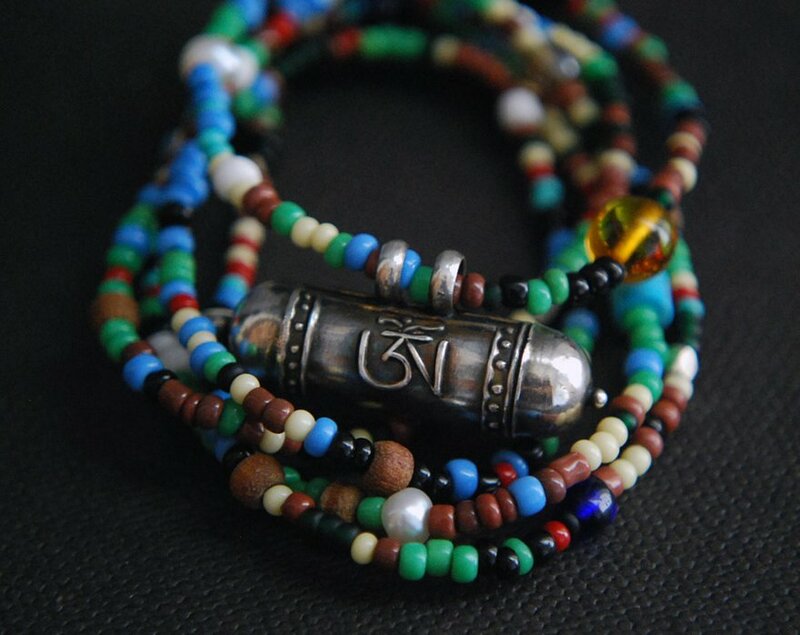 Thus, a keelaka is believed to be a Key to open the lock of the source of a Mantra power. It has to be noted that every Mantra has its own form of Shakti. However, let us admit that today, except the name denoted to the Shakti, we do not know much about distinct forms of the energy of Mantra. The main reason for this omission is attributable to the fact that graphical reproduction of the form of energy vibrations visualized during altered state of mind remains difficult. The second reason for the misconception is that we consider the words ‘Devi’ and ‘Shakti’ as synonyms. Now, it should be clear as to why we don’t get the much acclaimed results from reciting a mantra. If we ignore the essential 6 parts, how can we expect the desired effects? The limitation lies on two parts. First is the ignorance of the doer. The person who undertakes Mantra, does not know the essential prerequisites. Secondly, the limitation lies with the source from where a person receives the mantra. It is quite common now that people take mantra from any source, be it a cheap pocket book being sold at the roadside, any Sadhu or a TV Jyotishi. It is quite possible that the prerequisites are compromised in offering and receiving the Mantra in this manner. What was the objective of undertaking a Mantra? If yes – who was the person? what was the procedure used by the guru to season (siddhi) the Mantra? What were the conditions followed by the Guru to assess the suitability of the beneficiary? How many times the Mantra was recited/chanted every day? What was the duration/period the Mantra was recited? Whether the Shadangas i.e. Rishi, Devata etc. were performed ritualistically? Whether Viniyas i.e. Sankalpa, Nyaasa, Puruscharana were performed? If yes, what was the procedure? What benefits were observed that can be confidently attributable to Mantra sadhana? Whether the Verbatim meaning of the Mantra signified the expected benefits? If Mantra was used as a remedy of any disease; was it verified through medical reports? I wish to have valuable contributions from learned members and visitors of this esteem site so that the science of mantra can be augmented in right direction. I invite suggestions with regard to classification of various kinds of Mantras and its genuine purpose. I wish that we can compile the Shadangas of every Mantra with its dos and don’ts. Let us bring in transparency into this subject. This is the way, we can get back the lost glory to our divine heritage. Let us admit and sensitize as to what can be done and what cannot be done through Mantra.This is the way, we can curb the Cheaters and Thugs who are exploiting the ignorance of poor and needy people. I have read with interest the above article. I have personally had experiences with regards to mantric healing. I was experiencing an excruciating pain in my right knee. Allopathic investigations didnt reveal anything and all I was prescribed were pain killers. However one of my relatives who understands mantric healing, got me initiated into this and after completing the prescribed no of chants and after the udyapana, the pain almost vanished. Dear Friend,I have read your whole article and I am really very thankful to you for sharing such invaluable knowledge regarding mantra sadhana. As Iam not much learned about spirituality but I want to add something here. Iam very fortunate that I have been initiated by my Sadguruji. I had taken Guru Mantra before 8 years. When I took it, I didnt understand its importance, but now realizing it gradually.. The first thing I want to quote here is the authenticity of GURU MANTRA. Who is giving you mantra ? Whether he has authority or not? In this Kaliyuga, there are innumberable fake people who proclaimed themselves as Guru and fool people. A place where a guru mantra is sold in 500 bucks has also been noticed. It was rightly told by GORAKSHANATH Maharaj (one among NAVNATHAS) that kaliyuga will give birth to number of miscreant mantriks who will misguide people. Anyways i believe that its only our sanchit karmas which guide us on spiritual path. If we have really attained enough SADGATI then GOD will definitely come in the form of SADGURU and will initiate us with our BEEJ MANTRA. One more thing I want to mention here is that any SADGURUJI who has true authority to initiate SADHAK does not require any ritual to do so. He is always above VEDAS and SRUTIS. A proof to this is the four VEDAS in the form of four small dogs at the feet of LORD DATTATREYA, the one PARABRHAMHA PARMESHWARA.However, Iam not at all challenging the purity and sanctity of VEDAS. They are abviosly the most sacred texts ever but they are below the authority of supreme lord.One more thing again that the vedas failed to narate the holiness and importance of SADGURU… they have just described it NETI NETI…. BEEJ MANTRA is person specific and it is adviced that one should keep it secret. Only two people knows it SADGURUJI and SADHAK. The peculiarity of BEEJ MANTRA is that its consists of 5 words (Akshara ) . From this one can definitly judge the authenticity of his deeksha. The FIVE AKSHARs represents 5 Elements of NAture . Each and every cell of sadhak’s body responds to that specific BEEJ MANTRA. It is said that continious chanting of GURU MANTRA uplifts the sadhak and his BEEJ MANTRA becomes SIDDHA MANTRA. I appreciate your above presentation done in an excellent manner and would like to endorse what ever has been said. As a Sri Vidya Upachak, with the little knowledge I have.on Manthras and their uses, every Manthra has a family background, a special character and when properly chanted as prescribed with correct pronunciation, is bound to give the best of benefits. 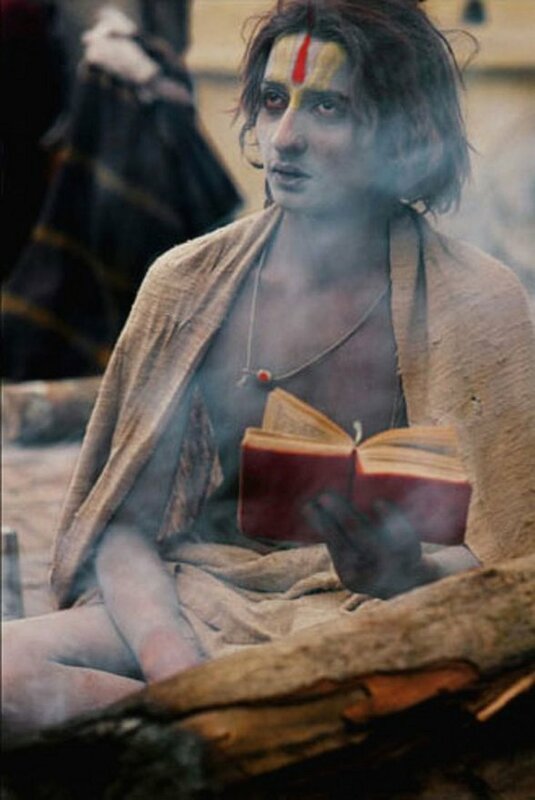 Some Manthras need initiation by a Guru for learning the procedure and reaping the benefits. Chanting Mantras are not going to give results overnight. First, one has to develop faith on the Deity and the Manthra he wants to chant. Consistent practice as prescribed by the Guru has to be followed. Continuous chanting of the Manthras develops concentration and builds self confidence. When these two are developed half your problems gets solved. Your sincere efforts and the Grace of the Deity will solve the rest. My Very Best Wishes to all. Your article is indeed very eye-opening and also mind-opening too. I had the great privilege of listening to Prof. Bhatnagar of Shanti Kunj, Haridwar who was in Mauritius for the Nawratri. I gathered one essential message-it was not enough just to chant or listen to a mantra to derive its full benefits. One must LIVE it ( mantra to jeena sikho). And to live a mantra, I fully agree with you that one must go through all its essential steps and stages to realise its true shakti and be blessed by its benefits. 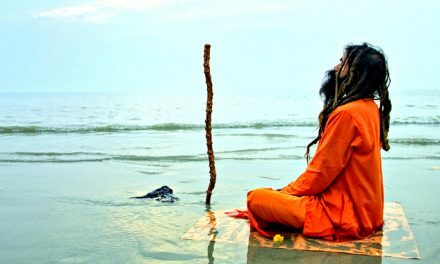 It may not be such an easy task but we should all strive to ensure that those gems which have emanated from our original vedic teachings are not misused just for lucrative purposes but to enrich the scientific basis of the effects of mantras on one’s physical and spiritual “body” through our psyche. Thank you again and keep it up- we may need to have an authoritative and practical step by step guidance to implement the true practice of mantra therapy. Dear friend, I took Guru Deeksha from His Holiness Sri Ramananda Guruji last year and practicing it everyday. I also practice Mantra prescribed by our Guru Sagasravadugar through online from Aanmigakadal.com. He has prescribed Mantra common to all who indulge in family life. These Mantras are very powerful and has a very good effect. I would be very happy if you give some useful Mantra based on your own research. Thank You so much for this article! Yes, it is well and truly time for some vast data collection on the science of mantras and their effectiveness. I am a devotee and have maintained the practice for most of my life. When I was given the mantra by a particular yogi, I began on faith alone, without additional practices. The benefits became more and more, over time, obvious and clear. However, there came a point in time where I wished to know what life would be like without a mantra and the devotion that went with it. Again the difference in life became abundantly, breathtakingly, clear. The noting of differences could easily be the subject of multitudes of books, so I shall confine myself to the most essential. Whatever practice one chooses, it is not the manner of the practice, so much as the intent and sincerity of the devotion behind it. It is the pure innocence of heart with which we and God become One. Always as ever grateful for awakening my inner soul to the light of realization that mantras & spirituality does exist, like it or lump it, it has immense benefits. God bless you with all his grace and love. I liked this article very much, i m a bad disciple who is not regular in practicing mantra given by my holy master. I need blessings of all of you . And these articles for motivation. Thank you very much for all the information we get from this blog. They are the GEMSof our livelyhood. How strange.. !! Whereas one or two readers have mentioned my (author’s) name; the website has removed it. The site should set up some sort of system that keeps the authors abreast with the comments on the articles. I wish the site administration will quickly correct the mistake and reinstate my name ‘VibhutiGanesh’ as the author on all my articles. Though, much time has lapsed since publication of this article, I welcome one and all to write to me at liveblessings@gmail.com. PreviousWhy are There No Temples of Brahma? NextKali Yuga: When Did It End and What Lies Ahead?